My show is hung at Viewpoints Gallery. 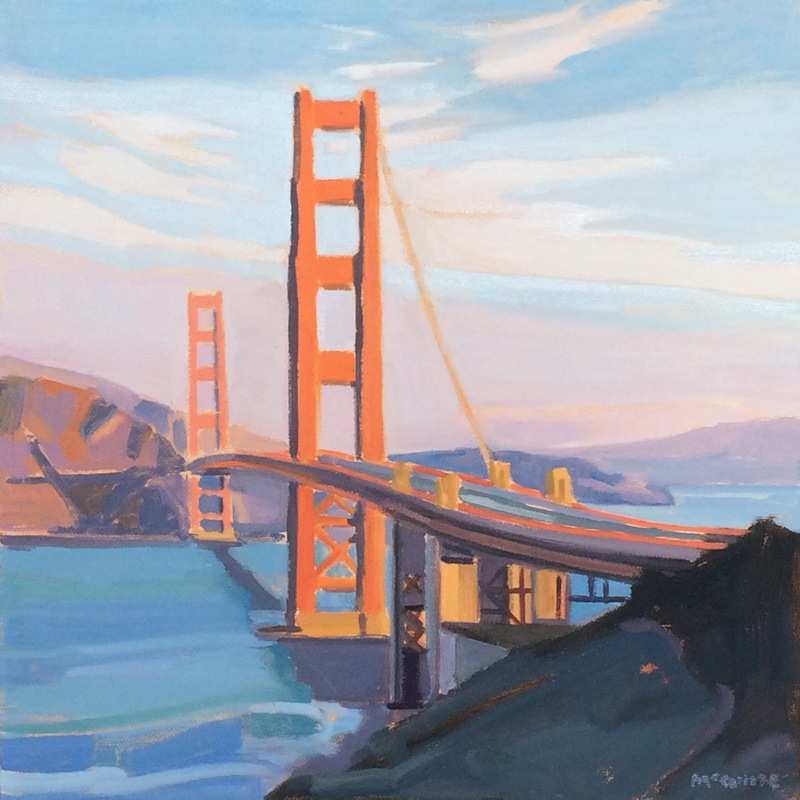 "Golden Gate Bridge at Sunset" sold on the first day. My reception is Saturday, December 5, from 2-5 and open to the public. 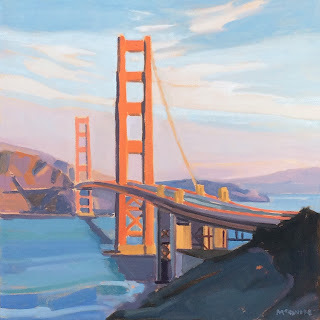 I liked the view of the bridge from this angle and the warm light at sunset. I used alizarin crimson mixed with ultramarine blue to paint the sky in the distance. 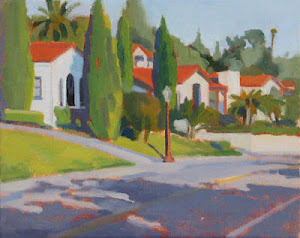 I don't use alizarin very often because it's a cool red, but it worked in this painting.